This one is a real deepie. It does not get more soulful then this one and Lloyd really does it, a real deep soul ballad in the Jamaica way. "Tommy played on the tenor saxophone and flute with the Skatalites and the Supersonics, who were the Duke Reid session band at Treasure Isle recording studios. Tommy lead the band and was also the musical arranger, he helped to develop Rock Steady and Reggae. Born in 1927 he attended Alpha Boys School in Kingston Jamaica, a breeding ground for great musicians. He emigrated to the Bahamas in 1954 where he developed his musical skills, which were jazz influenced. Came back to Jamaica in 1962, in 1964 he joined the Skatalites who broke up in late 1965." Here's a link where you can hear an other song by Lloyd Williams. You can also download them all. An other great deep ballad from one of my boot-albums. 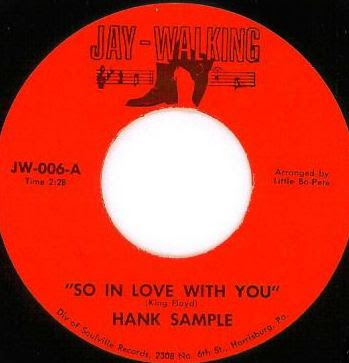 I could not find any information on the performer, but I found a scan of the flip side of the 45. 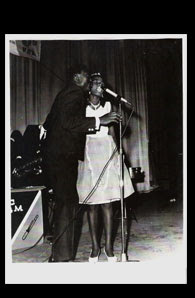 Millicent Smith and Roy Panton formed a successful duo during the 60's. Both had success with other singing partners. 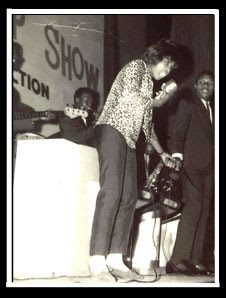 Milly also teamed up with Owen Gray, Winston and Jackie Edwards while Roy sang with Eric Morris, Cornell Campbell, Yvonne Adams, Annette, Hyacinth & Patsy Dodd. Some other great ballads by Millie and her Boys are; My Desire, The Vow, That's How Strong My Love Is, This Is My Story, I'll Never Believe In You.